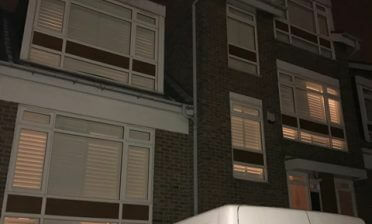 We were recently in South East London in the area of Blackheath to fit some window shutters for a bedroom. The window is the only natural source of light into the bedroom and required a window dressing which would make the most of the natural light while also allowing for privacy and blackout. 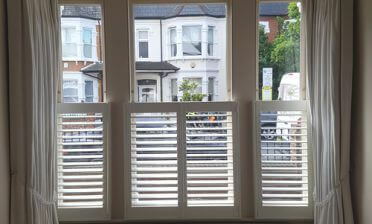 We created 3 panels of shutters across the window with MDF which can all be opened and closed on hinges, as well as adjusted for light entry through the use of the 64 mm louvres. We used a silent tilt rod system which allows for the louvres to be adjusted by touch rather than having to use a visible tilt rod. 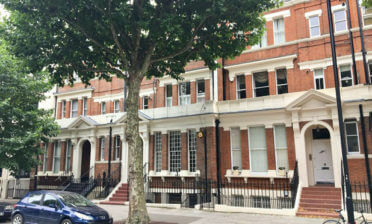 This helped achieve a more modern look that the customer was trying to achieve. 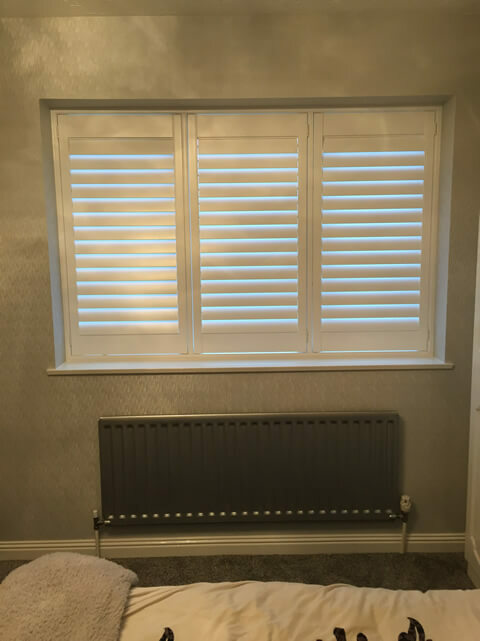 Our bespoke fitted shutters are the perfect solution for a bedroom with millimetre precision of fitment to stop as much light from entering as possible, while also acting as an extra barrier of insulation to keep in the warmth from the radiator. 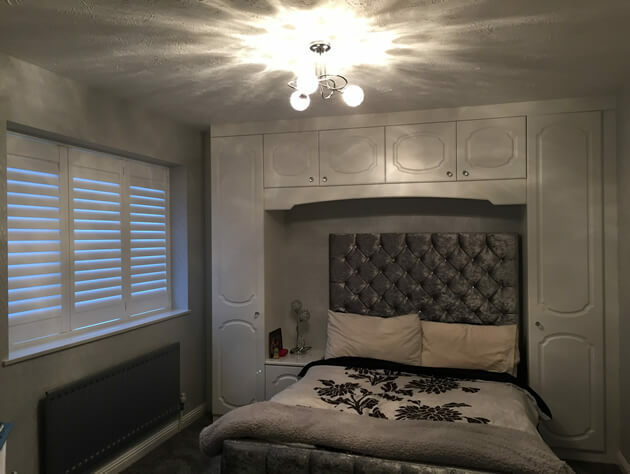 The shutters were finished in pure white with matching hinges which complement the existing decor and also match the colour of the wardrobe which is fitted around the bed.